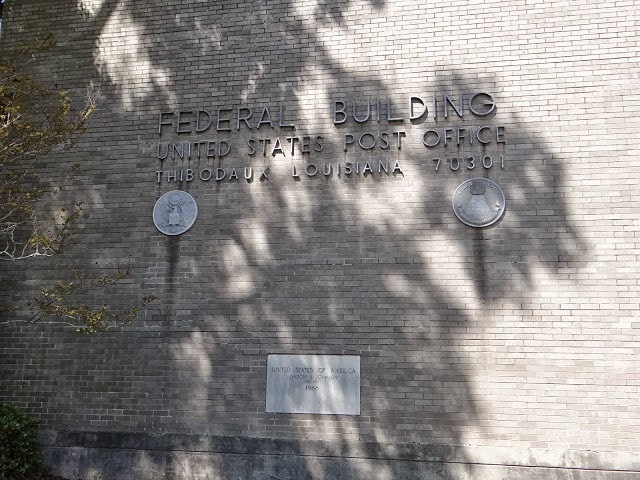 During a trip this spring to Louisiana I came across several historic post office buildings that have since been converted to other uses. 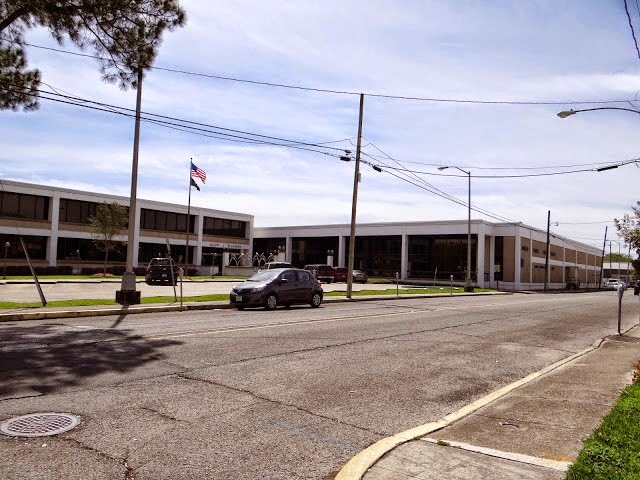 Out previous post presented photos of three post office buildings in Plaquemine, Louisiana dating from 1936 to the present. 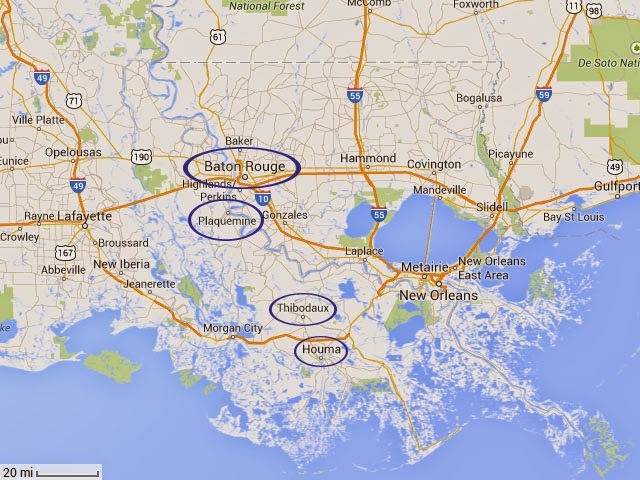 Today we turn to two good-size Bayou towns, Thibodaux and Houma. 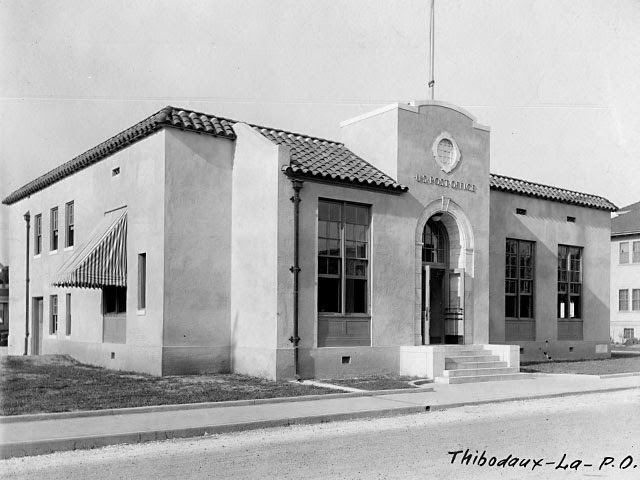 Thibodaux, population 14-15,000, is the seat of Lafourche Parish and its post office was established in 1840. 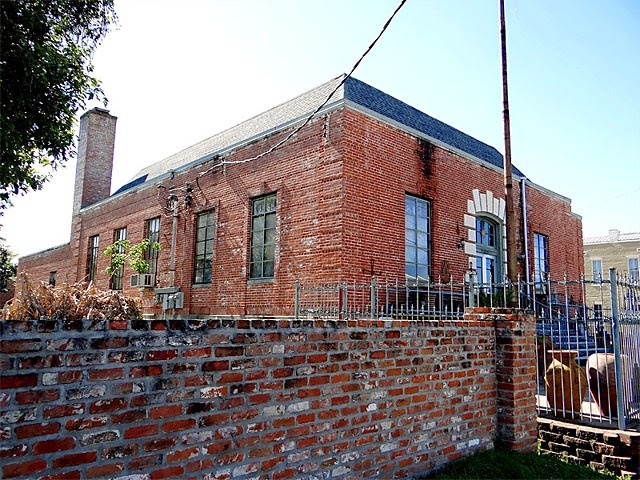 The old federal post office building in Thibodaux looks a bit different from most that you've seen before. 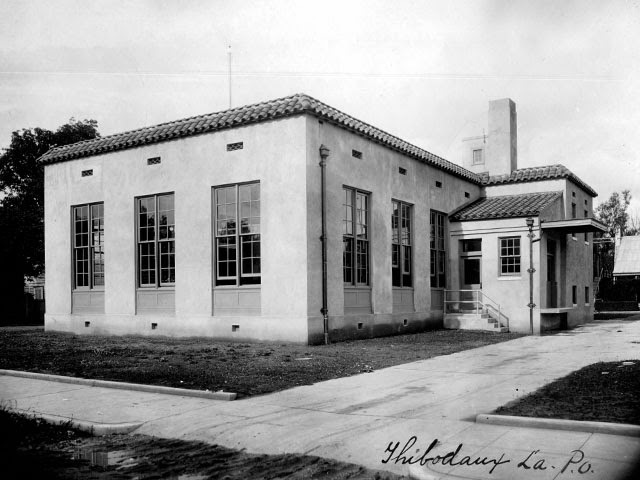 It was constructed in 1925-6, before the massive New Deal post office construction pushthe building is asymmetrical, it has small ventilation windows above the actual windows and its cornerstone is marble. In earlier photos the building is more striking; you'll notice the Spanish tile roof and (presumably) white stucco exterior. 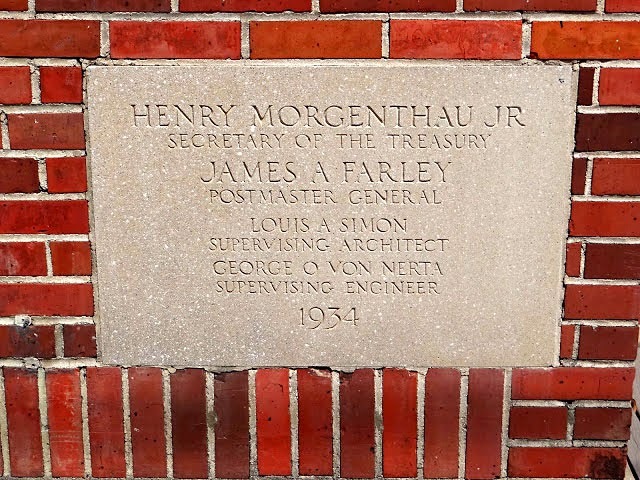 The historic post office building is located at the south side of West 5th Street between St. Louis St. and Green St. 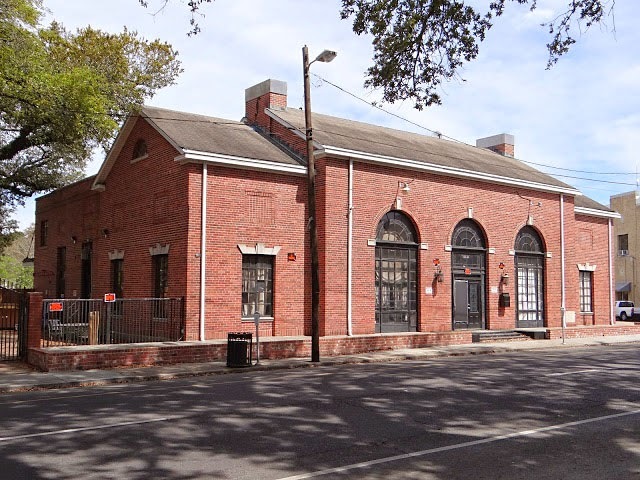 However, it no longer serves as such; postal operations were relocated when a new federal building was constructed a bit less than half a mile south along Canal Boulevard, the city's primary north-south thoroughfare. 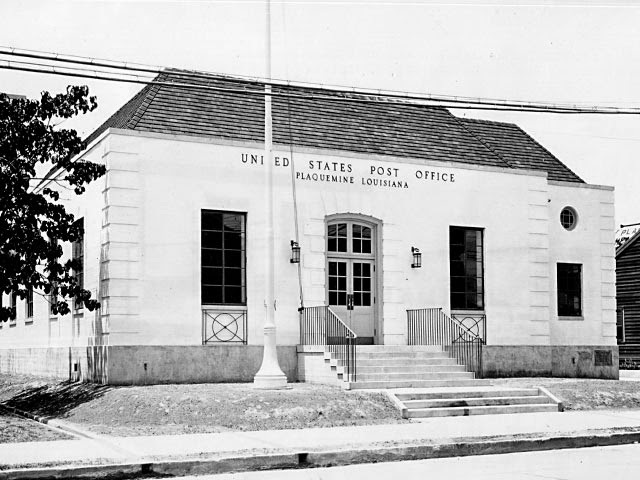 The '20s post office building now serves as an annex facility for the offices of Lafourche County. The 'new' federal building along Canal Blvd. 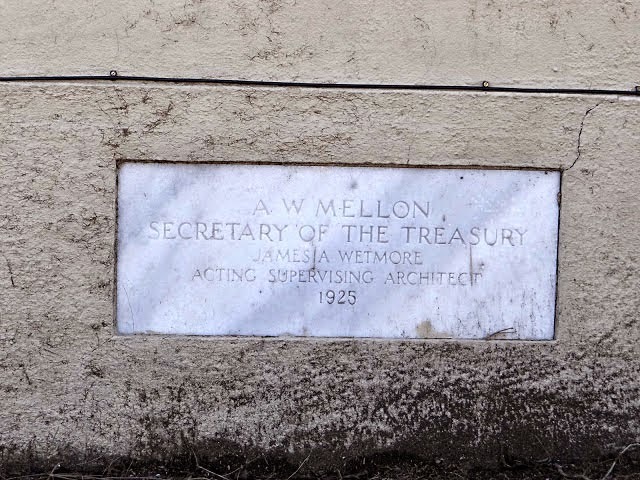 between West 9th St. and West 10th St.; the second photo also shows the 1966 Lyndon B. Johnson cornerstone. Thibodaux also hosts a Contract Postal Unit at Nicholls State University. The operation is housed inside the Donald G. Bollinger Memorial Student Union. 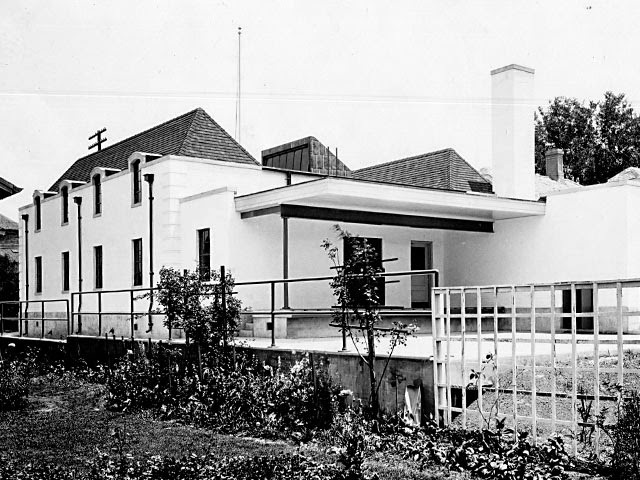 The county parish seat of Terrebonne Parish in the Bayou received two gorgeous buildings around the city's central square as a result of the New Deal (the south side of Main Street, between Church and Goode): (1) the 1934-5 former post office building and (2) the stately 1937-begun Parish Courthouse. 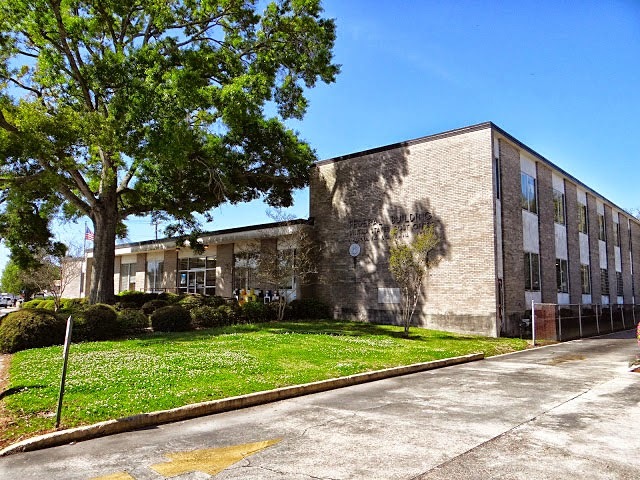 The old post office building at 7861 Main Street in Houma, LA was constructed in 1934-5 and served until the completion of the Allen J. Ellender Federal Buildinga rather standard ugly mid-to-late century building, located a few blocks away, that will disappoint your retinas later in this post. The old post office is privately owned, and for some time served as a nightclub that was appropriately called "The Old Post Office Club." However, when I visited this spring it appeared that the building served no discernible public purpose. That said, the building appeared to be in good shape. 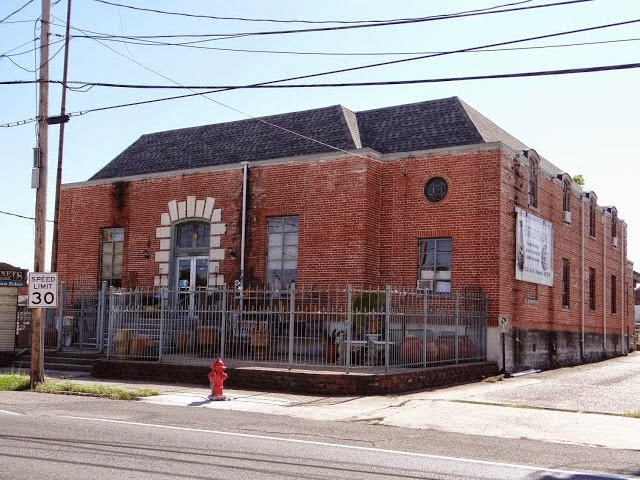 Below, photos of the old Houma post office from this year, including photos of the cornerstone and an honorary (nonfunctional) postbox affixed to the right of the building's main entrance. 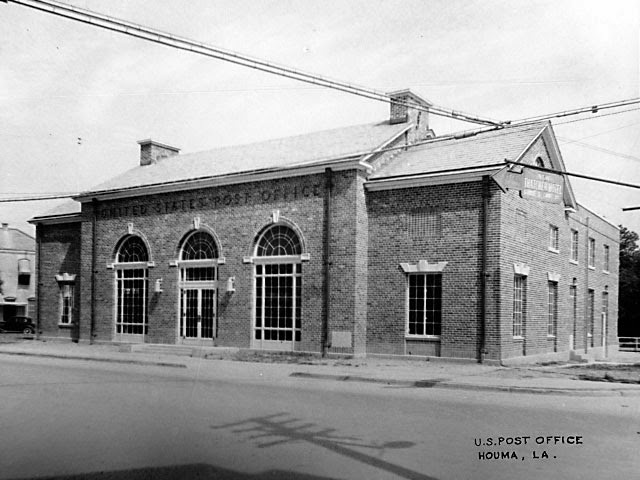 Here is the site of the current post office in Houma. The building at left houses various federal offices, while the post office is at the right. 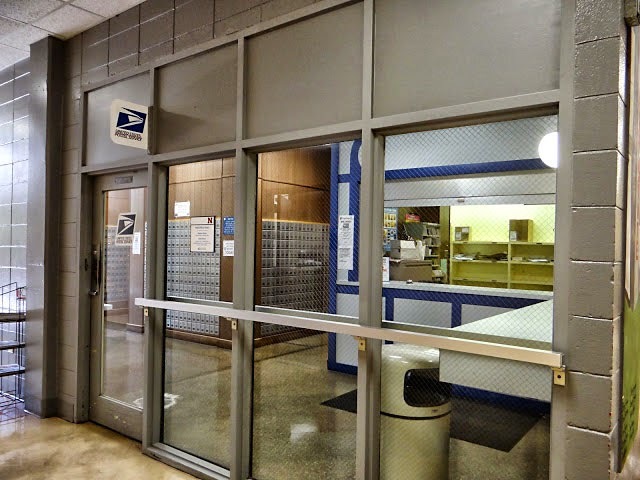 There are three Contract Postal Units (CPUs) in Houma, but that's the subject for perhaps another post. 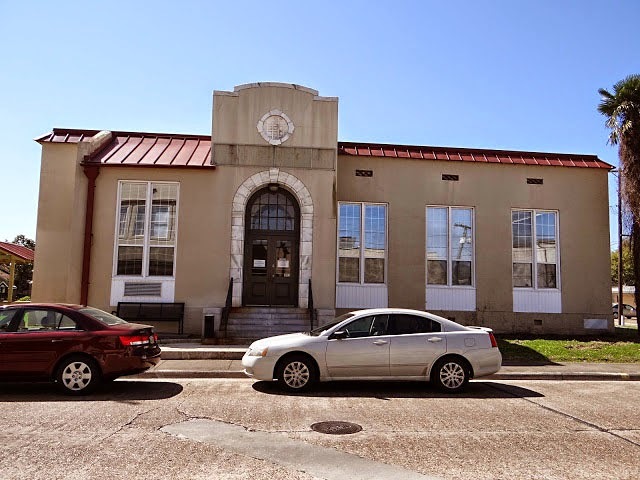 During a trip this spring to the Bayou I was able to find and photograph several historic post office buildings in southeast Louisiana along the way from New Orleans to Baton Rouge. Each of these offices is no longer occupied by the Postal Service. As an added bonus, I will show you photos of each of these early-century buildings from when they were brand new, using photos recently scanned by yours truly at the National Archives. As always, here's a map showing where we'll be for this and GP's next couple of posts: the cities of Plaquemine, Houma, Thibodaux, and Baton Rouge, Louisiana. Plaquemine, population about 7,000, is the seat of Iberville Parish [Louisiana's equivalent of a county]. 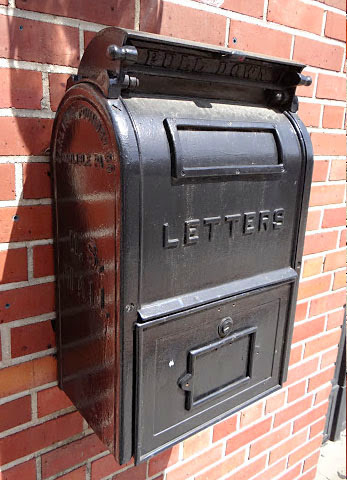 Its post office was first established in 1822. 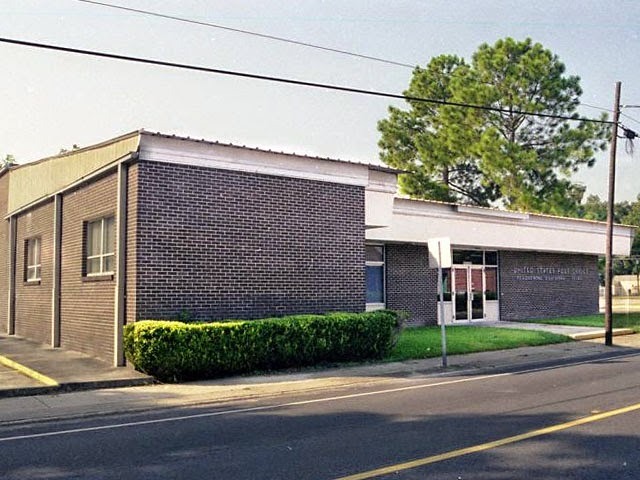 Located at 23430 Eden St., the historic 1935-6 Treasury Department-funded (New Deal) post office resides in historic downtown Plaquemine near Bayou Plaquemine [think: river that enters the Mississippi], though the building currently lies opposite a large vacant lot with the massive Saint John the Evangelist Catholic Church looming just beyond. 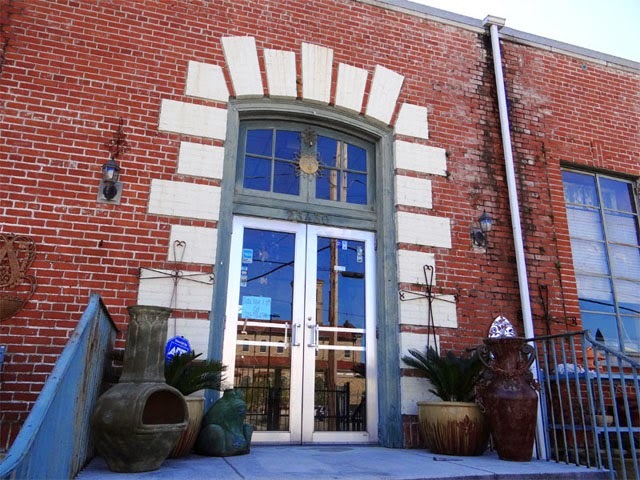 The historic building is now occupied by two high-end home décor shops: Cabinets Unlimited, which opened in 1990 and "specialize[s] in beautiful custom cabinets and furniture for new construction or remodels," as well as other custom wood carving products; and Garden On Eden, founded 1999, which specializes in "fine imports from around the world." 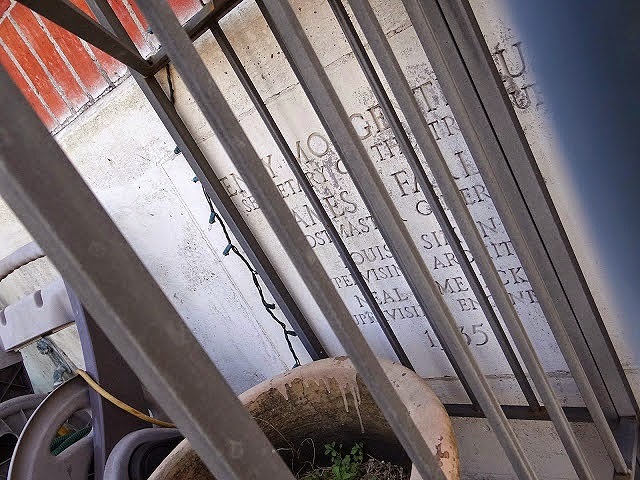 Unfortunately, since a lot of Garden of Eden's merchandise is outside the entire front of the property has been enclosed by a several-foot-tall iron fence. This means it's difficult to get up-close and personal with the old building and, for example, get a good look at the cornerstone on the right side of the building. But never fear! Your intrepid postal enthusiast was able to slip his camera at such an angle that he was able to get a couple of good looks for you one late March weekend. There was no New Deal artwork in the old Plaquemine post office. 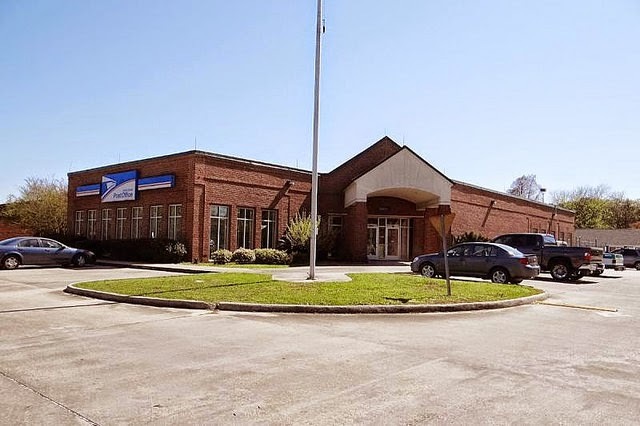 Which brings us to now: The present Plaquemine post office is a USPS-owned facility about a mile south of the historic post office and has been occupied, according to USPS's Owned Facilities Report, since Aug. 2000. It is located just across the train tracks that (and yes, you and your car will have to wait if some cargo is coming through). 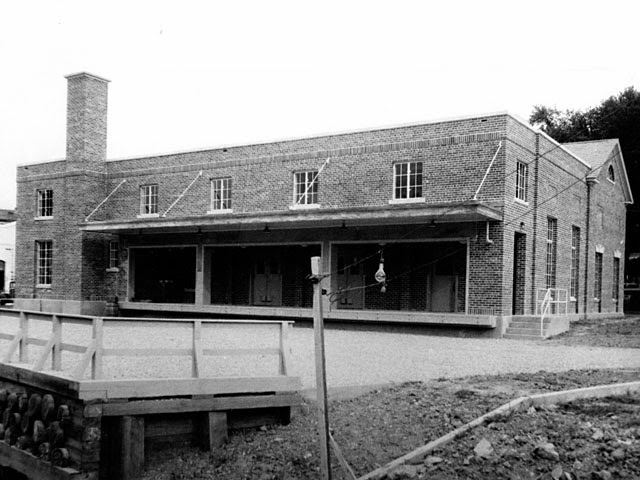 The following never-before-publicized photos of the just-completed historic Plaquemine post office were taken for the U.S. Treasury Department on Nov. 3, 1936.